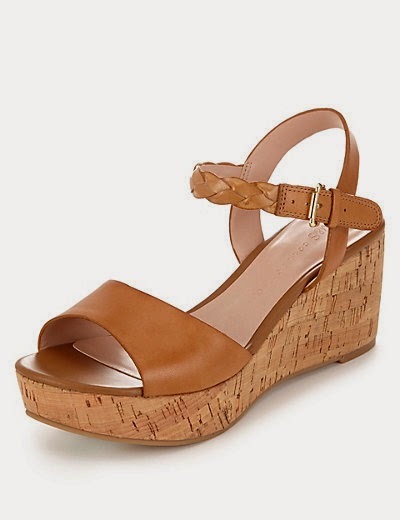 There seems to be a new must have item for the season ahead - tan wedges. I've seen a few posts via Avenue 57 of women showing off their shoes. They look good with any outfit. Take Nic - she looks fabulous here in hers. 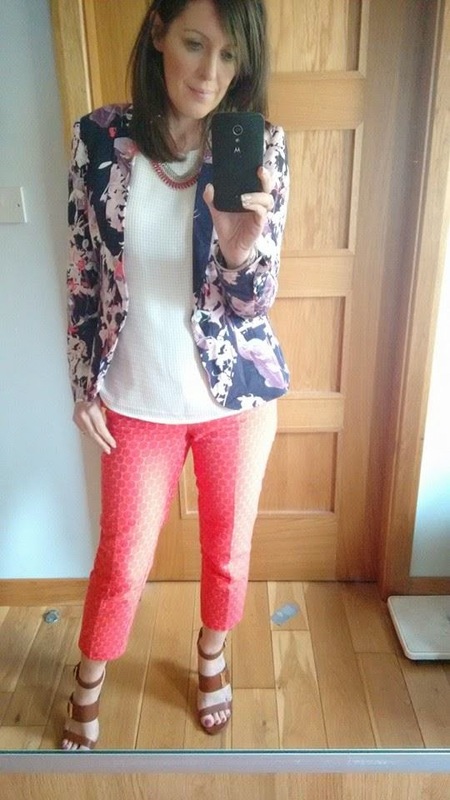 And Deirdre in hers (not 100% sure these are wedges but she looks amazing so I'm featuring her)! I have a pair but they are sling backs and I can't get them to stay on my feet, and they are VERY high. They're currently in the summer shoe box in the loft that I need to get out. Anyone else put away summer/winter shoes each season? 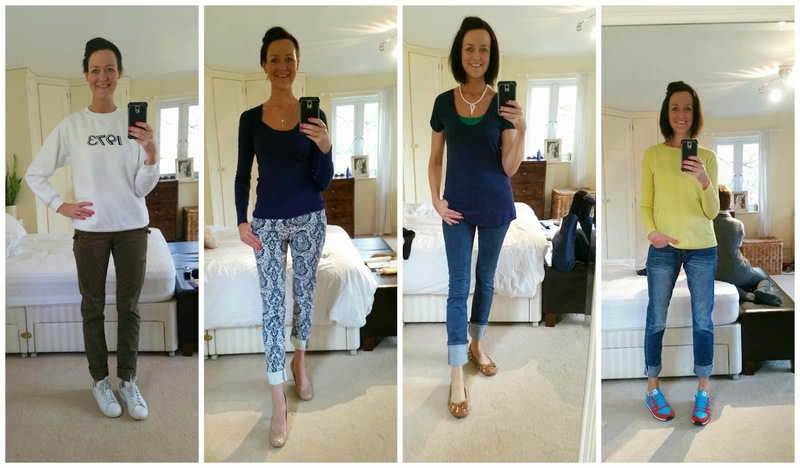 Round up of what I've been wearing this week - #wiwtw. A whole blog post on dungarees and hair extensions coming this week! I hate it when that happens - ie someone tells you where they got them from and there is not a chance of you ever being able to buy them! 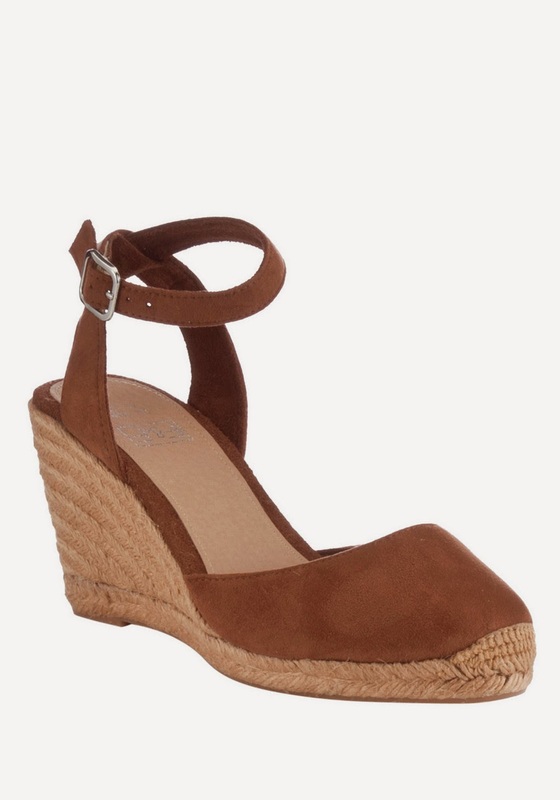 I wore my tan wedges into the ground the last few summers so last year I decided to chuck them away and start afresh. 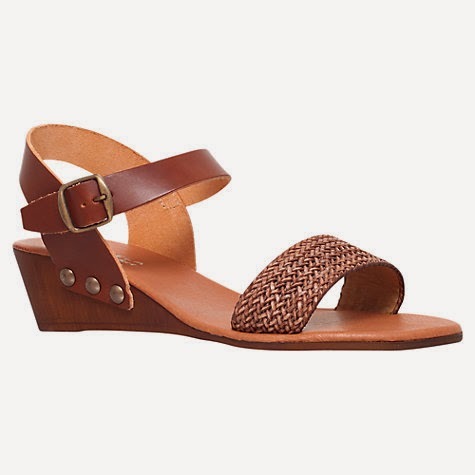 They were my default shoe as the wedge rather than a heel was so comfy and much easier walking to the car with the toddler and all her stuff! Pre-baby obviously, now I'm not sure I can totter on a wedge with two in tow! The wedge will be your friend again soon!!! I do love a good wedge :-)! It's not too bad to manage at all. I'm going to do a blog post on it later today as I love it too! Check you 'on trend'! 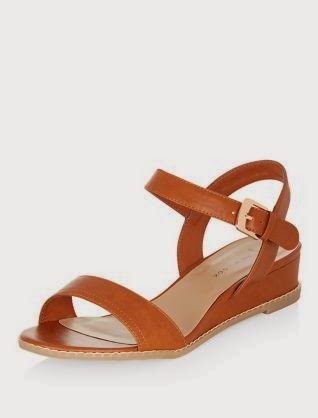 I just bought some wedges (tan) from TK Maxx! I don't need height but I love wearing them! The ones I have on today are HIGH but not too high! Thanks Frances! My boys HATE the dungarees - what the heck do they know?! Love the long hair Fiona - beautiful! I notice you have a 1973 top too - big piece on them in the Times magazine a week or two ago, bang on trend lady! Oh really? I stole the idea from my friend Sue! I bought the jumper, the transfer and did it at home ! 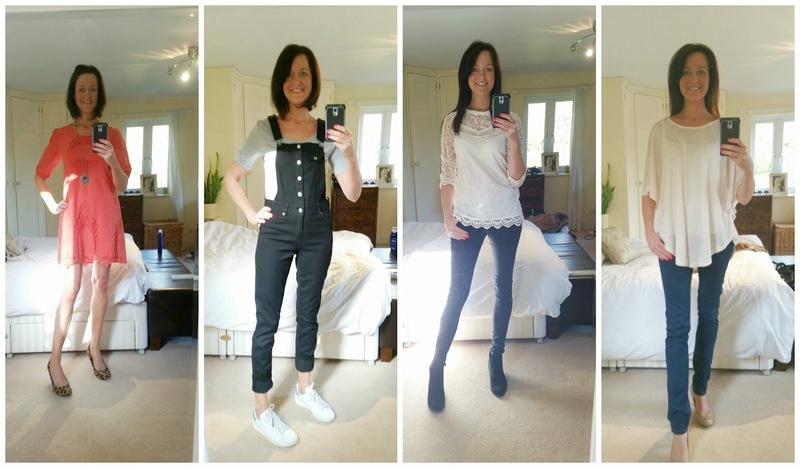 I really, really love the dungarees! They have never turned my head before now - the button detail on the front is really lovely, too. Glad to have found your blog (via mumsnet!). hi! Thanks for coming over - should I go back and see what was said?! Was it nice?!! !